The island of Kos is called "Aegean Garden" because of the abundance of greenery and natural beauty. And it is famous not only for its landmarks and sights which are not of human making. There are so many historical and architectural treasures on Kos that even a couple of days will not be enough for inspection. But there are places that can not be ommited during your visit. The city of Kos is the main port, a lively center and the capital of the island, which has preserved monuments of different times. 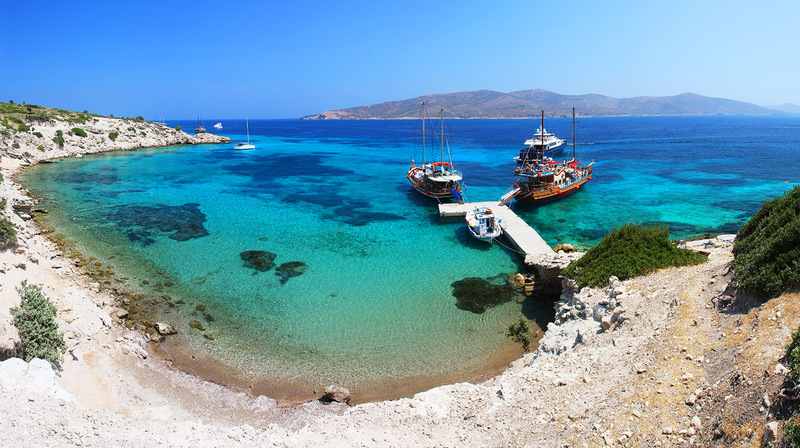 First of all, guests of Kos are trying to get to Asclepion. It is believed that Hippocrates taught at the ancient medical center. But other sources say: the construction of Asklepion began only after the death of the “father of medicine”. You can see the columns, the remains of the sanctuary and the early Christian temple in the ruins of Asklepion, and also you can see Kos from the top of the hill., the island got the Odeon after the reign of Romans. Its columns, majestic arches and rows of seats are well preserved. You can see the terms nearby. Kos was passed from one ruler to another. There was a period when Knights of England ruled here. 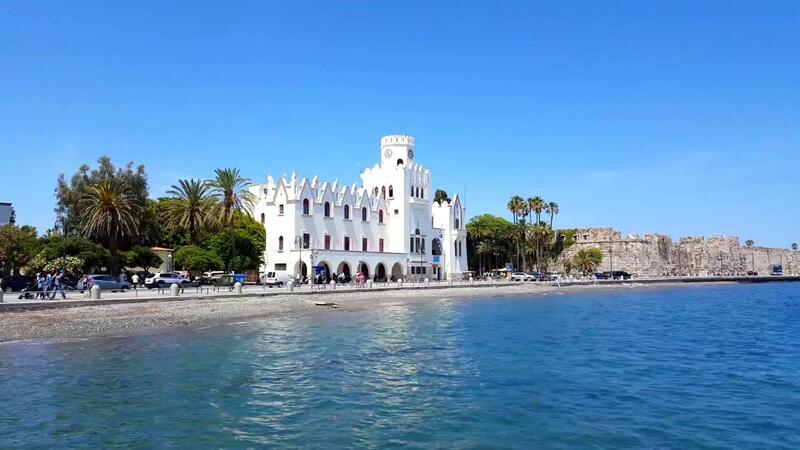 They left the castle Neratzia in the capital of the island. The medieval monument is well preserved, including its bastions, towers and battlements. Ottoman rule also did not pass by for the appearance of Kos. Walking around the city, you can see two mosques of the XVIII century, attracting tourists` attention with its architecture. An interesting fact: the historical heritage of the capital is recognized as the centuries-old plane tree of Hippocrates. It is located in the very center of the city, next to the fortress. According to legend, it was planted by Hippocrates himself. Hippocrates Cultural Center in Mastichari was created 10 years ago and divided into several museums surrounded by gardens. One of the most interesting expositions of the center is a copy of an ancient house with separate rooms for a man and a woman, furniture and a kitchen. The cultural center will introduce the useful properties of medicinal plants and tell about the history of Kos. The Venetian castle of the XIV century is located on the low hill above the village of Antimachia. The structure was so strong that it remained in good condition, in spite of numerous attacks. Antimachia was settled until the XIX century, but then the inhabitants of the fortress moved to the neighboring villages. You can see the symbol of the knights above the gates of the fortress, which is engraved on marble. And there are several Venetian churches inside, for example the church of Agios Nikolaos of the XVI century and the church of Agia Paraskevi dating back to the beginning of the XVIII century. Residential buildings and cisterns are less preserved - only the basements remaine of them. There are picturesque views of the sea, which open from the height of the fortress of Antimachia. 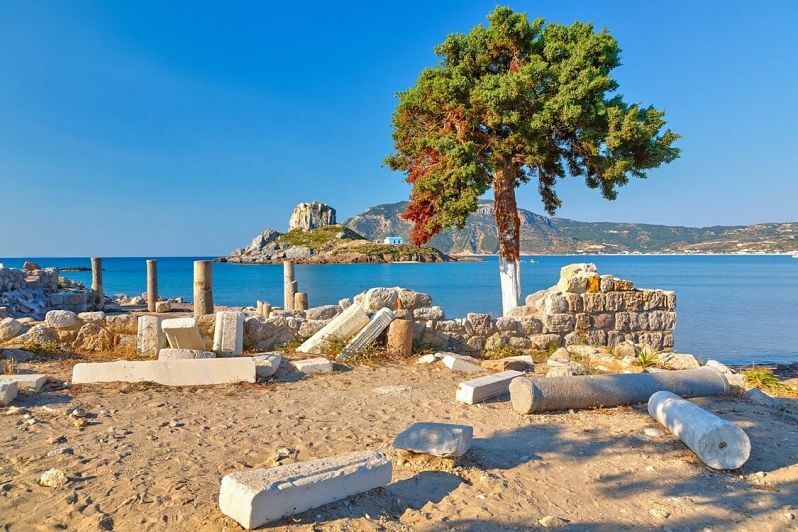 There is the abandoned village of Haihutes, or Agios Dimitrios in Kos island. This is one of the oldest settlements of the island, but, alas, abandoned by residents more than 40 years ago. Here you can see the dilapidated houses. A couple of buildings were restored: they opened a small folklore museum in one of them, there is also a cafe in another house, where visitors are offered Greek coffee and meze, as well as spend evenings listening to national music. Archaeological excavations are continuing in Haykhutes, and perhaps the village will soon find a new life and attract a massive flow of tourists. Hayhutes is located just 10 km from the capital of Kos. It can be reached by car or while riding a bike - many routes are routed past the village.